Welcome back to Trailer Happy Hour, where dreams can come true (provided those dreams are of trailers and promotional videos for TV shows and films). We’re running a little light today—although if you’re hankering for more teasers, you can check out our coverage of CBS’s new fall shows right here—but we do have two very different takes on pop culture-powerful women, so let’s dive right in. 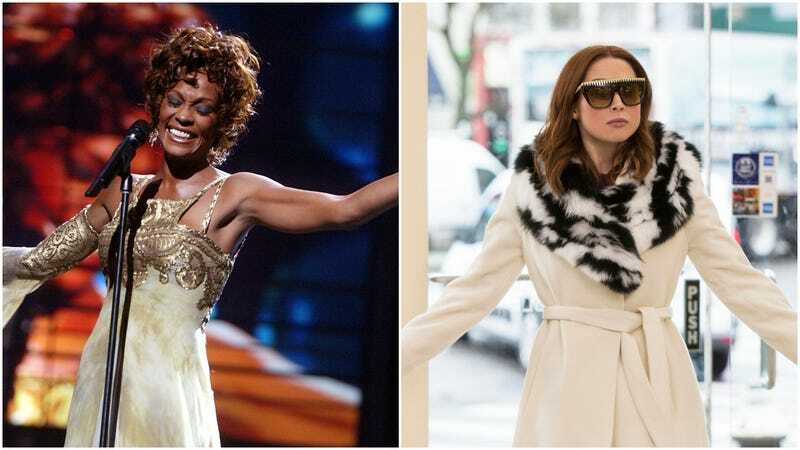 Meanwhile, over in the real world, we’ve got the trailer for Kevin Macdonald’s Whitney, which is getting its world debut tonight at Cannes. The film’s trailer promises that it’ll be the hard look at Whitney Houston’s life that other projects so frequently flinch away from, examining her career, her relationships, her addictions, and the way they all came together to elevate, and then destroy, a world-famous talent. Featuring plenty of Houston’s still-electrifying voice (and her personal opinions on Paula Abdul), the film arrives in theaters on July 6.